Do accelerators / hubs / campuses work? The short answer is NO, here’s the long answer. Accelerators and their kind offer much needed advice to early stage businesses. These businesses are often started by novices that have little or no business acumen. Don’t get me wrong, most of the advice is sage, pertinent well intentioned and constructive. However, it is a rare founder that can listen and take onboard advice for an abstract concept that they have yet to encounter. So items like how to raise finance needs real world experience to be able to master. Marketing is an ever evolving skill set that you need to engage in to have any chance to succeed at. Success itself is an ever changing goal post. Advisors have normally been there and done it and for the most part have been successful enough to allow them to give their time. The pupils diligently listen, the tutors patiently explain and notebooks get filled with reams of sage advice. But that advice is mostly worthless because the reality of facing a situation differs wildly to the theory. In the end you have to go through the pain of learning on the job and making the same mistakes your predecessors made but in slightly different and ever evolving ways. Are accelerators completely pointless then? No, what they actually provide is a work space that is highly energised and focused with peers working on different projects but all facing the same problems at the same time. 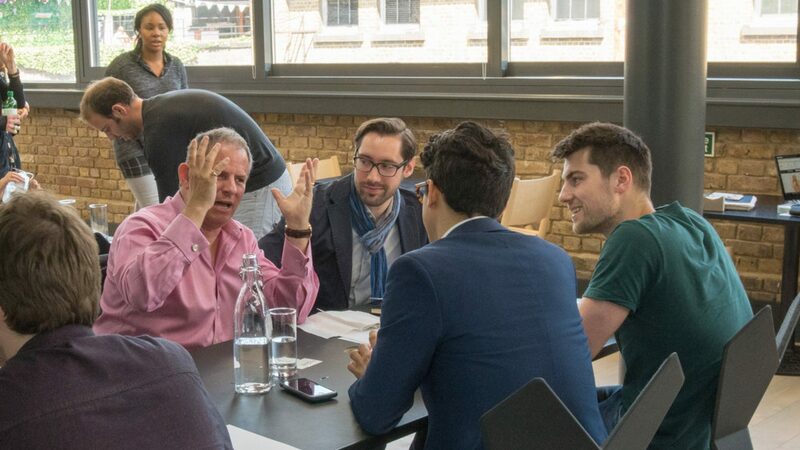 Learning from your peers and being motivated by them is far more effective than a mentor that can no longer empathise with a lean startup or understand the current climate that is facing the new business. Next time: Is the Web dying?